Abakus Solutions is always striving towards giving a better customer support. For this reason we are inviting you to try our new and improved Ticketing Support System. 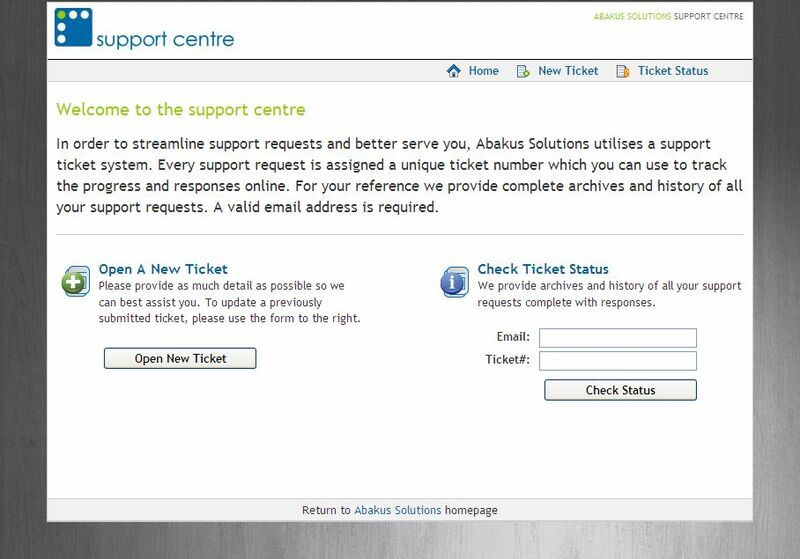 The new Abakus Support Centre has a sleeker user interface and most importantly bridges the gap between the client and the company. With this new system the client has the facility to access a website from where all the open tickets lodged by the user can be viewed. Apart from that any comments left on the ticket either by the user or by the support itself can be seen as a chat. We hope that with the launch of this upgraded service we can improve our support services to you. The new and improved support system can be accessed through the following link: http://support.abakussolutions.com or by clicking on the 'support' main menu item on our website located at www.abakussolutions.com. Kindly note that our Client Support line is +356 2201966. For any queries regarding this new service do not hesitate to contact us.